The Milky Way Galaxy (our galaxy!) is a barred spiral galaxy around 100,000- 120,000 light years across, containing maybe up 400,000 billion stars! That's a lot of stars! It may contain just as many planets and our dolor system resides within the disk, about 2/3rds of the way out from the galactic center, on the inner edge of a spiral-shaped concentration of gas and dust called the Orion Arm. 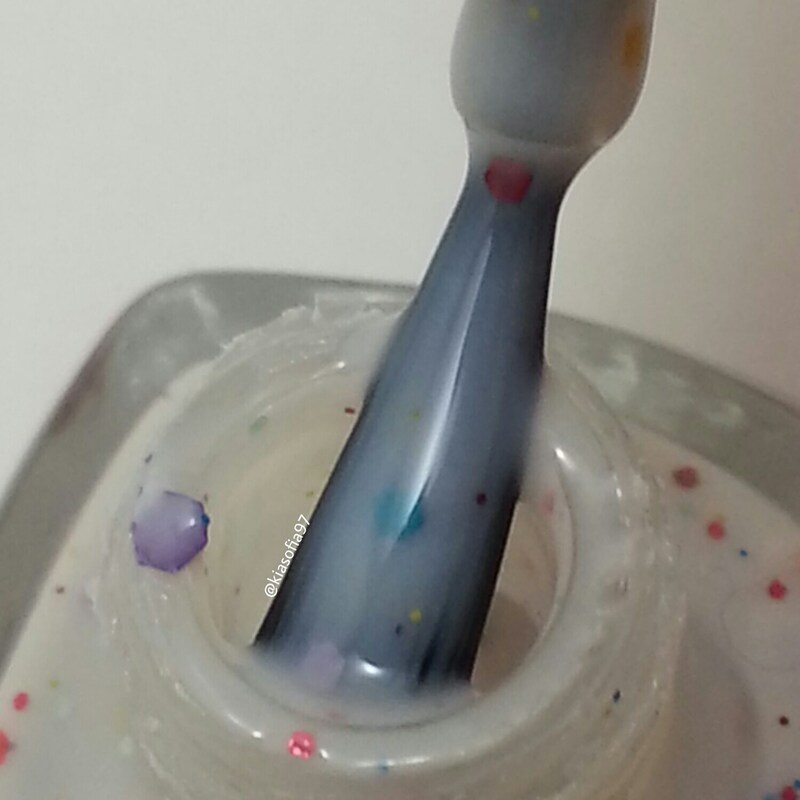 Just like our Milky Way galaxy is packed full of stars and planets, this milky polish is packed full of rainbow glitter of many shapes and sizes from micro glitter to tiny hexes and squares of all colors. The base is milky white. 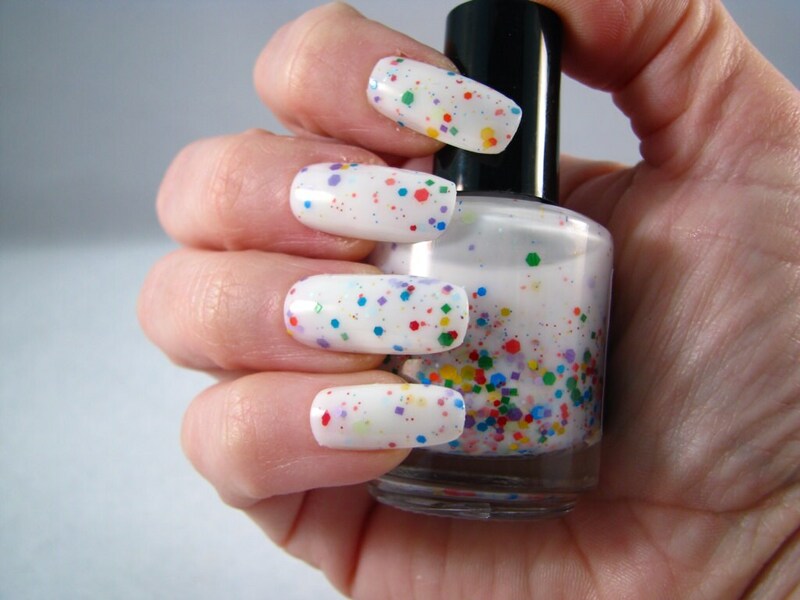 This polish has been reformulated. It no longer has a shimmer to it as it once did and is now pure white and milky. Pictured above I've used two layers and then coated generously with Seche Vite in the first photo.The 2rd, 4th and 5th photos were contributed by the wonderful @kiasophia97 from IG. Select this polish in a 15ml round bottle or an 11ml square bottle. 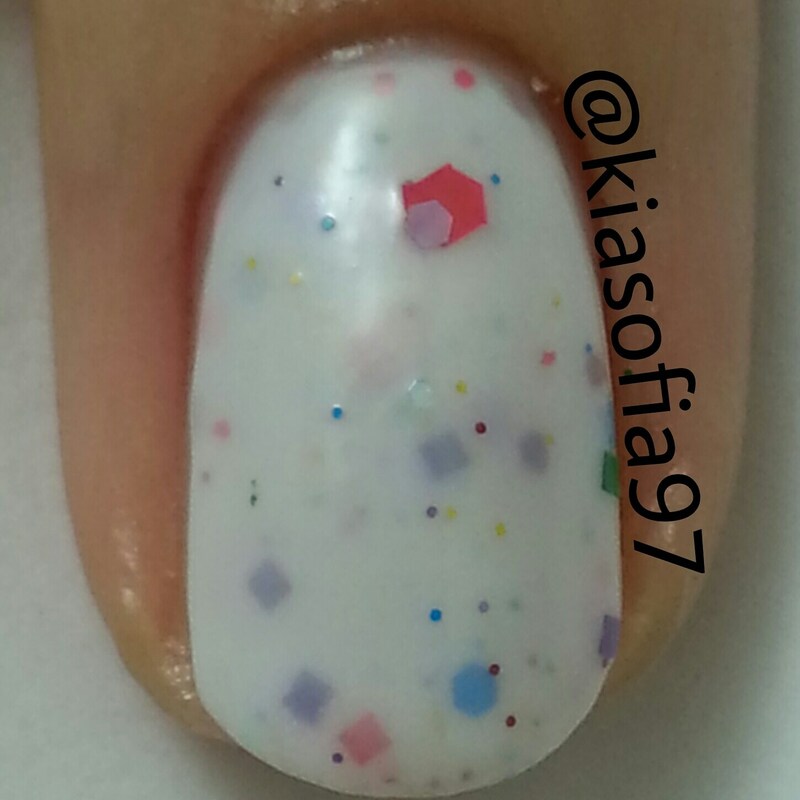 A color combination you never see from the mainstream brands, the white with colorful confetti is a total head turner. I got compliments galore. 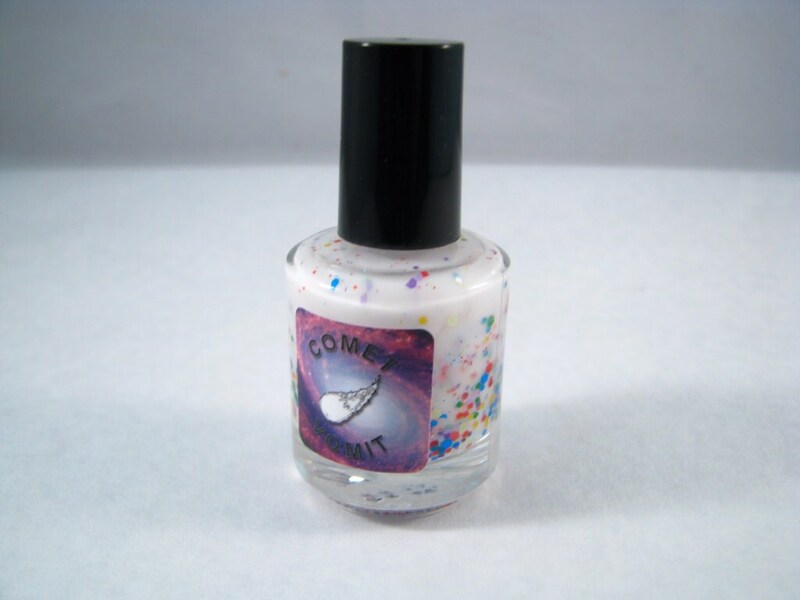 Comet Vomit is my new favorite brand. Well worth the price and then some. 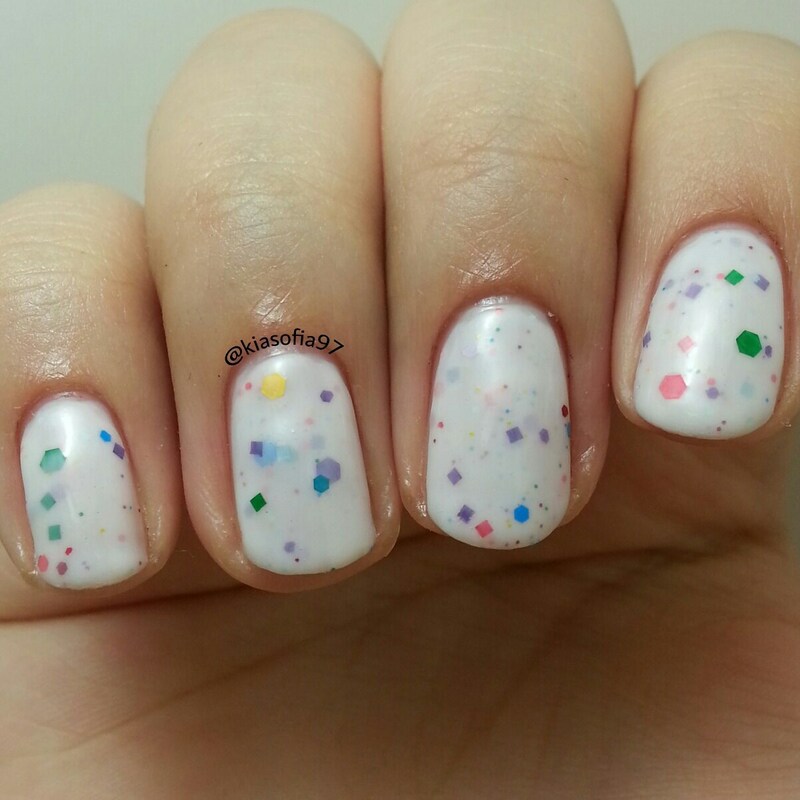 I love white polishes and putting glitter in nail polish always makes it even better! This is a fab polish that I'm wearing as I'm writing this! Even more glitter packed and stunning in person! Shipped quick and so sweetly with little goodies! I love this and it wears great! It reminds me of Jawbreakers.